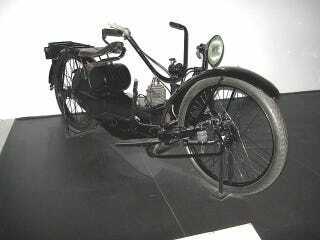 For all you detailed build blog fans, I totally recommend that you check out this guy’s restoration of a 1921 Ner-A-Car Motorcycle. For those of you unfamiliar with the Ner-A-Car, I totally recommend that you check out that steering mechanism. It’s pretty sweet. The dude remanufactures a bunch of parts, sometimes the old-fashioned way, just for kicks. The headlights that he makes are a thing of beauty by themselves. It’s the kind no-shortcuts build that reminds me of Project Binky. He has a custom CNC machine that he uses too, which has a build blog of its own. Here’s the original link that got me hooked, plus it has links to some other interesting motorcycle projects too. Enjoy!